The remains of hundreds of people who lived in Philadelphia during the 18th century may have been dumped in a Conshohocken landfill this spring, according to a prominent Philadelphia archaeologist. 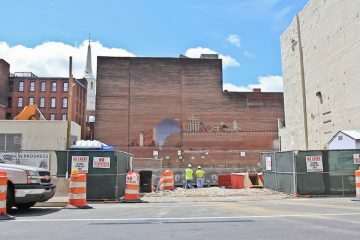 “It’s appalling,” said Doug Mooney, president of the Philadelphia Archaeological Forum, after reviewing PMC Property Group’s latest report on its construction and excavation efforts at 218 Arch St.
Mooney made those conclusions based on how much earth was removed to a landfill during construction work in between two periods when archaeologists were collaborating with the developer. The PMC report does not say that any remains were ever found and transferred to a landfill. “It didn’t happen,” said PMC vice president Jonathan Stavin, when asked to comment. When remains were first identified, he said, the company immediately contacted the city coroner’s office. 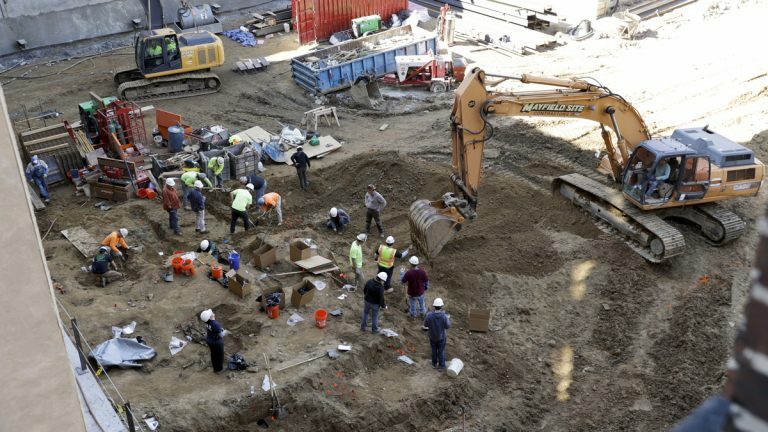 Since last fall, the remains of nearly 500 people, some still in crumbling coffins, have been excavated from the Arch Street site, where PMC Property Group has been constructing condominiums. The remains were linked to a Baptist cemetery that was thought to have been moved in the mid-1800s. 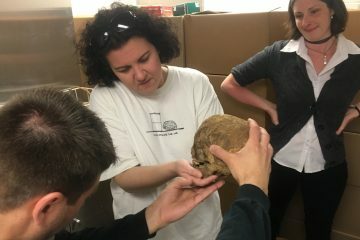 They are now being studied by volunteer archaeologists from Rutgers University, The Mutter Museum, and the College of New Jersey. Construction workers made an initial discovery of a box worth of bones in the fall of 2016. By March, as more remains and coffins surfaced, PMC allowed volunteer archaeologists in for about a week to excavate them for preservation and study. 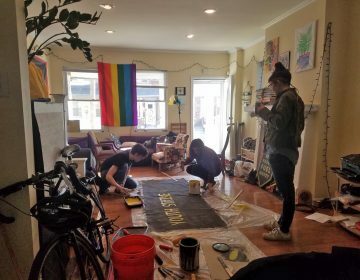 Months later, after news that remains were still being found, the developer hired a private archaeology firm at the urging of the city to oversee excavation efforts. As part of that process, PMC filed a petition in Orphans’ Court, seeking official permission to excavate, transfer and — ultimately — rebury the remains. “We’ve done everything we believe has been required from us — and then some — to do the right thing,” PMC’s Stavin said in court in late July. PMC offered to remove and bury the remains at Mount Moriah Cemetery and, in the meantime, transfer them to the volunteer archaeologists for further study. The discovery has cost the company about $1 million in time and resources, Stavin estimated. The condominium development is slated to open in about a year. Following the petition in Orphans’ Court, the judge assumed oversight of the remains. The developer brought in AECOM to oversee the excavation efforts, and it recently filed its final report in court. During a hearing Monday morning, Judge Matthew Carrafiello said he hadn’t had a chance to review the report yet. 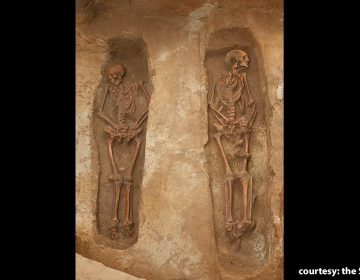 In the meantime, no one objected to PMC’s request for a six-month extension to finalize reburial details for the hundreds of remains that have been properly excavated. Marc Zecca, a lawyer representing Mooney and the Philadelphia Archaeological Forum, has asked to comment on the report and its implications. The judge is reviewing that request. Mooney estimates that anywhere from 650 to 780 remains could have been found and dumped between March and June — after volunteer archaeologists completed their dig and before PMC hired AECOM to oversee additional excavations. In that time, according to the report, construction work continued and soil was transported to Rock Reclamation landfill. 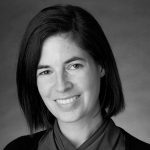 Before AECOM arrived, 141 burials had already been “either partially impacted or destroyed through construction preparation activities,” according to the report. Mooney based his estimates on the assumption that the density of burials in the 18th-century portion was, on average, uniform for the whole cemetery space within the construction site. AECOM investigated a 2,279-square-foot area and excavated a total of 328 burials. Extending that calculation to the 5,588-square-foot area where soil had already been removed before AECOM arrived, Mooney said, could add up to the remains of anywhere from 650 to 800. It’s tricky to know for sure. The area in question had been disturbed when it became a hat factory in 1860, after the cemetery had supposedly been moved. In the 1960s, the factory buildings were demolished for a ground-level parking lot. Kimberlee Moran, an archaeologist at Rutgers Camden who has been leading efforts to study the remains, said Mooney’s estimate seems high. ‘What’s the point of preparing for a future if you won’t have one?’ said Philly’s lead organizer, Sabirah Mahmud, 16. French journalist Jacques Tiziou left behind thousands of collectors’ items related to space travel. His son is cataloguing the artifacts, and hopes to share them. 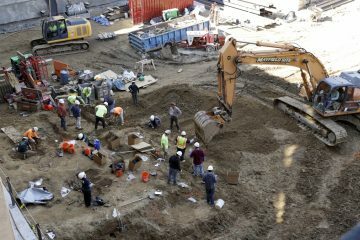 Eleven 17th century remains have been found in Rehoboth.